Yesterday we arrived at our first church for the summer! After several hours in the car, we were all ready to get out and play! 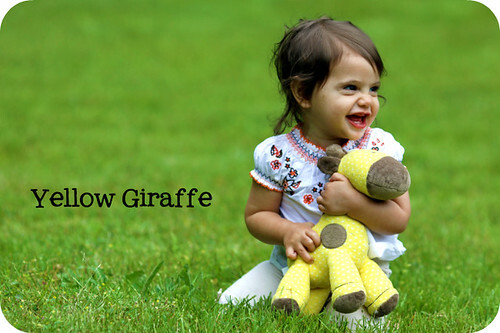 Josefine's Giraffe was one of the toys to make the cut for this trip (we only have room for so many, folks)...she adores him and loves to cuddle him!